Traditional hummus is made with chickpeas (also called garbanzo beans). This recipe uses white beans. It gives it a great mild flavor that lets the blast of lemon come through, and it’s very easy to make. 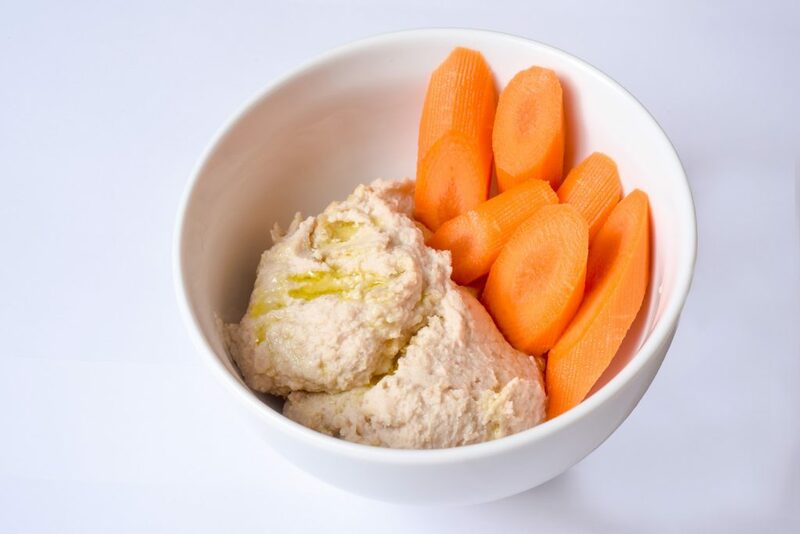 Serve with carrot and/or celery sticks for a great snack or lunch. In food processor or Vitamix style blender, place all the beans and process with some of the lemon juice and olive oil, adjusting as needed for taste and consistency. Add water as needed to make a smooth mixture. Process well until very smooth. Place the smooth mixture in a bowl and add the tahini. Stir well and adjust with water for texture.